Showing Products 81 to 101 of 152 Products. 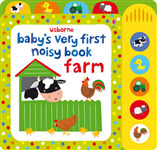 With bold and bright illustrations, this title lets children press the buttons to hear specially composed musical sound clips incorporating animal and tractor noises. 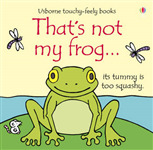 Helps very young children develop important language and sensory skills. 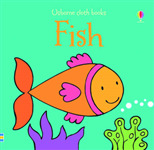 This book combines bright, colorful illustrations with a variety of different textures to touch and feel on each page. 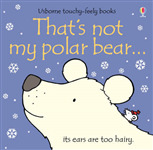 A touchy-feely book with simple, repetitive text. It features bright, colourful illustrations with carefully chosen textures to touch and feel on every page. It helps very young children develop language and sensory skills. A book featuring something to draw or paint for everyday of the year. It includes activities such as fingerprint monkeys, a chalky fish picture, collage robots and jungle silhouettes. It explains every activity with step-by-step instructions. It also contains tips and ideas to make each activity a work of art. 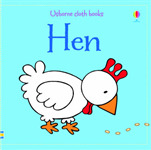 A colourful picture book that helps young children learn their ABC's. Suitable for very young child, this book follows Father Christmas as he puts on his boots, loads up his sleigh and sets off delivering presents. It features touchy-feely patches, sparkly foil and various textures. 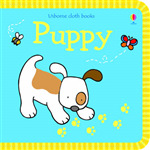 A lovely, soft-touch, squishy fabric book for babies. Bold illustrations in a rich range of colours tell a simple story to share. 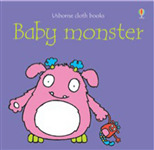 Suitable for little hands to hold, this title features new 'peach-skin' fabric and soft filling. 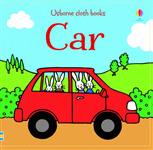 It allows to follow the rabbit family on their way to the seaside for a picnic. It is packaged in a clear polybag with velcro fastenings and a tag on top for hanging. 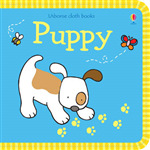 A colourful, soft-touch book telling a very simple story about a cute little puppy. Perfect for sharing and for introducing the idea of how books work, essential for preschool development. Light-weight for little hands and easy to stuff into a handbag. 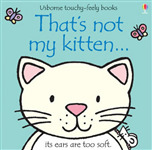 Suitable for little fingers to hold and explore, this title features simple illustrations of kittens and patches of different textures that may delight babies and very young children. It can help babies develop their sensory and language. 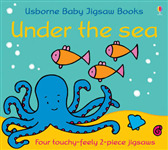 Containing four two-piece jigsaws, each one featuring a different touchy-feely texture, this is a jigsaw book for babies. These simple puzzles aim to promote sensory awareness and the concept of matching. The coloured illustrations by Rachel Wells are accompanied by simple text that introduces the animals included.